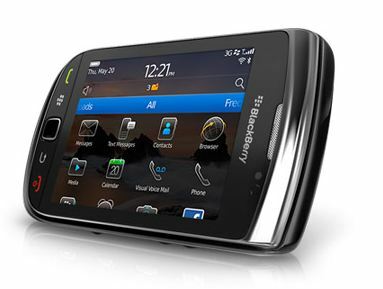 Having never used a Blackberry, it was a tough decision for me to go for the blackberry Torch in exchange of iPhone 4. With my iPhone 4 experience not being very bad and I was getting to like the High Resolution screen of iPhone 4. What mooted my decision for the switch was my quest to be on top of corporate email. And the choice of Blackberry Torch was simple considering that Blackberry 6 OS is only available on the Torch (with AT&T). Having mostly used Nokia’s till now , I was pleasantly surprised with the Blackberry Torch. 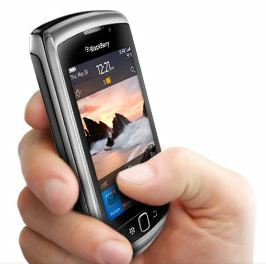 First impression – The touch screen + Full Keyboard Blackberry Torch was pretty handy and was very responsive. The gripe though was the lower resolution screen , but looked much better after changed the Home Screen which was having an archaic look. Getting used to the UI took some time , but once I arranged the icons the way I like, it was a breeze. The first and foremost difference I noticed is the signal strength, with the iPhone I used to have 2 bars and many times had dropped calls within my living room inspite of being in the middle of the town, But after switching to the Torch I had 4-5 bars all the time, I never expected iPhone 4 to be that bad. I even tried otterbox defender with iPhone but to no avail. When i switched from iPhone, I wasnt expecting a full application set available for the new (Blackberry 6.0) Blackberry Torch, but the phone came with a wide variety of free and preinstalled softwares like Word editors , Presentation Viewers, Adobe Reader , Google Talk, Yahoo Messenger , Mobile banking application, Youtube , couple of TV viewers and lot many. But in terms of sheer numbers Blackberry App store cant compete with Apples’s App Store. The UI is very intuitive and many of the options make it a dream come true. The configuration of Mail clients was zippy as you would expect I configured Gmail, Outlook Web mail (BIS) and a Blackberry Enterprise Server enabled mailbox. Both Gmail and BES mails are updated real time but there is a delay in BIS mails by a few minutes, which isn’t bad at all. I had configured Gmail and WebMail through exchange but my Battery used to drained, but with the Blackberry Torch the juice runs for three days inspite of heavy usage. In terms of Media features Iphone 4 definitely beats the Torch as one would expect, but the Audio Playback Quality of Blackberry 9800 is top notch and many times better than the iPhone. Screen Resolution though is a no contest with iPhone winning by a knockout punch. But then you dont need High definition screen for most of day today activities and in a 3.2 inch area. Some extremely basic but very useful features like ability to define different alert settings for each Mail or Message and individually customize Profiles based on Time of the day are simply superb and very useful. Iphone 4 weighs 137 gms, whereas the Torch weighs little more at 161 gms. Light Sensitive and Proximity Meter enabled screen. GPS Enabled – Blackberry Maps. MPEG4 , MP3 , AAC , FLAC vorbis, WMA, WMV support. 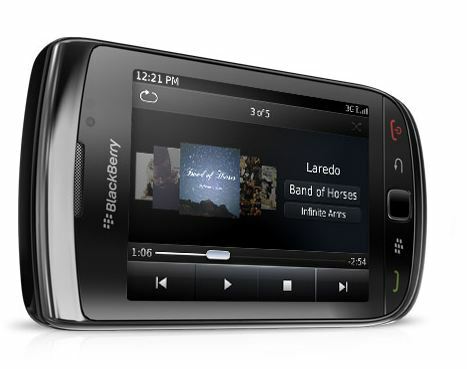 Overall Im very pleased to have switched from iPhone to the Blackberry Torch will update after few more weeks of usage.